Unavailability of learning material in the mother tongue, untrained teachers and absence of specially developed bridge courses are some of the issues faced while bringing out-of-school children into mainstream, the apex rights body National Commission for Protection of Child Rights (NCPCR) said. In a new report by the NCPCR in collaboration with Quality Council of India (QCI), the child rights body said the aim of the study was to understand the implementation of provision of free and compulsory education for out-of school children provided under the Right To Education Act. 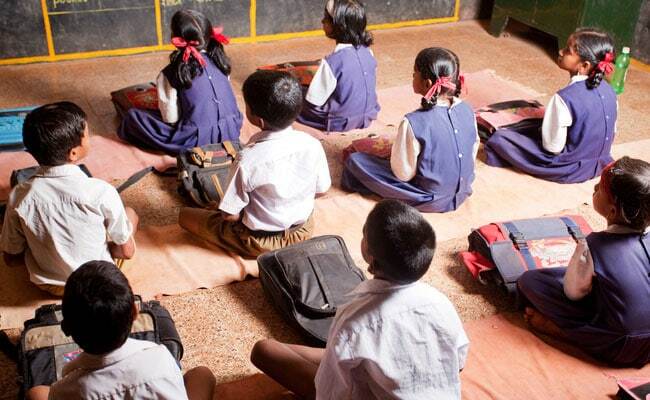 Unavailability of learning material in the mother tongue, untrained teachers and absence of specially developed bridge courses are issues faced while bringing out-of-school children into mainstream, the report pointed out. The study is based on a field-survey in 104 Non-Residential Special Training Centres (NRSCTCs) and 21 Residential Special Training Centres (RSCTCs) from 22 districts across five States – Punjab, Gujarat, Tamil Nadu, Tripura and Chhattisgarh. Another issue pointed out by the report was how many NRSCTCs/RSCTC were either not found or were not functional at the time of the survey. The report also made some recommendations that include the local authority to establish adequate number of RSCTCs at district or block level to allow children of migratory families to reside, stopping the migration at the source state. The Special Learning Support Material should be provided in mother tongue of child and the education volunteers employed/engaged should be trained and fluent in the mother tongue of the child, another finding of the report said.